PayPal is one of the most popular payment platforms out there. According to statistics, in 2018, there were 254 million active PayPal accounts. That’s a huge number of people using the platform! One of the main reasons for PayPal’s popularity is that you can get your money pretty much instantly! Handily enough, there are tons of apps and reward sites that pay through PayPal. Below, we cover apps for both Android and iOS devices. Most of these are apps that pay instantly to PayPal. Others will send payments to your PayPal account within 24 hours or so after requesting a cashout. In this section, we cover a list of iOS (iPhone, iPad and other Apple devices) free money apps that send money to you via PayPal. Most of these apps also have an Android version. So if you have a device that runs on the Android platform, you can install the Android version. Ebates gives you cashback when you purchase items online. There are more than 2,000 stores featured on there, and you can get cashback up to 40%. There are coupons available too, and you get a $10 reward when you sign up. Gift cards are also a payment option in addition to PayPal. Swagbucks is one of the best rewards apps out there, as it allows you to earn points in a number of different ways. In return for completing these tasks, you receive points, called Swag Bucks, or SB. You can redeem SB for money to your PayPal account. You can also redeem your points for gift cards to retailers like Amazon and Walmart. You can make anywhere from $50 to $125 plus a month using Swagbucks, according to Reddit users, with one user earning almost $300 a month. Ibotta pays you for receipts, but works slightly differently to other ones on this list. Rather than paying for whole receipts, Ibotta pays you when you buy specific items. 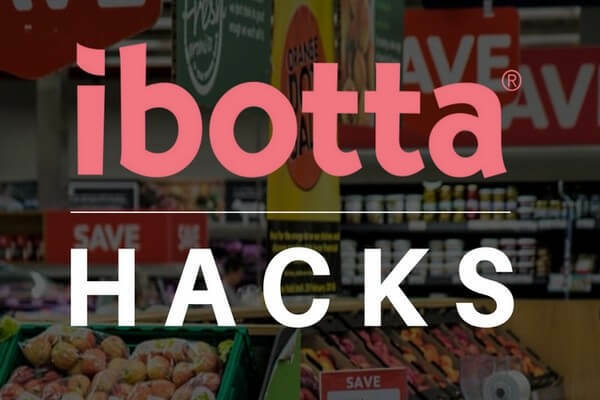 So you browse offers in the app, buy the item featured in the offer, upload a photo of your receipt, and Ibotta will give you a rebate. In addition to offering PayPal payments, Ibotta also allows you to get your payment on a gift card. Shopmium gives you cashback when you upload a photo of a receipt. You can get discounts on a range of products from cosmetics to groceries. Receipt Hog allows you to upload receipts from stores, restaurants and cafés and earn rewards. You can redeem your rewards for money through PayPal. You can also redeem your rewards for an Amazon gift card. With iPoll, you get paid to give your opinion on the products you buy, the services you use and the places you visit. In addition to PayPal payments, you can also get your earnings on a gift card for Amazon or iTunes. Toluna pays you for providing your opinion to brands on their products and services. It’s actually one of the highest paying survey apps that pay through PayPal. You’ll get points which you can redeem for money or for gift cards to places like Amazon, Starbucks and Petco. When you share your opinion in surveys, Univox will give you points, which you can redeem for money to your PayPal account. Amazon gift cards are also a redemption option, as well as Virtual Visa Cards. For signing up, you’ll get 200 bonus points, which have a $2 value. Download Univox Community for Android devices here. Appdown gives you points when you download apps. You can redeem these points for money through PayPal. Gift cards to retailers like Amazon, Google Play and iTunes are also a redemption option. You can upload photos of your receipt on BerryCart (app review), and you’ll get cashback via PayPal. Gift cards are also available. BerryCart has a focus on organic and non-GMO type food. Perk is a rewards app that gives you points when you complete tasks, like watching videos and answering trivia questions. You can redeem these points for rewards, chiefly gift cards, but also for cash through PayPal or Perk Plastik. You can make $360 a year with this app. Take a look at our Perk review to learn more. Qmee gives you rewards when you give your opinion. There are coupons and deals available on the app too. Aside from PayPal payments, Qmee also offers gift cards. What’s good about Qmee is that there’s no minimum withdrawal limit, meaning you can withdraw your earnings when you want to. Get cashback on eligible purchases with SavingStar. If you wanna get paid for scanning your receipts, this is a great app to do it with. You just need to upload a photo of your receipt and you’ll get paid. You only need $5 in your account as well to withdraw your money. This is another app from Perk. It focuses on live TV and streaming. Basically, you get paid for watching your favorite TV shows. With Viggle, you earn points when you check into any live TV or streaming program. You can check into TV shows and movies live on TV or through providers like Netflix, Amazon and Hulu. Aside from payment through PayPal, you can also exchange your points for gift cards, or a Perk Plastik card, which is a prepaid debit card. You can also use your points to get prizes. Get money from MooCash when you complete tasks, like watching videos, playing games, trying new apps and taking surveys. Aside from PayPal payments, you can also get your cash on gift cards for retailers like Whole Foods, Netflix, and Starbucks. YooLotto gives you rewards when you complete tasks and offers. Payment is sent via PayPal or you can get it on an Amazon gift card. Also, you can use YooLotto to check whether you have a winning lottery ticket. Even if your ticket is not a winner, you can still get rewards, such as coupons and deals. Embee Meter runs in the background of your phone to monitor the quality of your phone’s internet calls and just how well your phone works in general. So, you basically use your phone as you normally do, while Embee Meter runs in the background and gives you points for it. Aside from redeeming your points for money to your PayPal account, you can also get gift cards and, in some countries, mobile airtime. ShopAtHome is a cashback app. When you shop through ShopAtHome, you can get cashback to your PayPal account. Or, if you prefer, you can get the cashback on an Amazon gift card. When you sign up, you’ll get a $10 bonus as well. TopCashBack is a cashback app. You can get payment through PayPal, and also from Amazon, which earns you an extra 3% cashback. Above, we covered apps that pay you through PayPal, which are available for both Android phones and iPhones. But, there are also apps that pay through PayPal that are only available to Android users. These apps range from game apps to apps that pay you to watch ads on your phone’s lock screen. So take a look at these apps. Complete offers and other easy tasks and AppBucks will pay you. Aside from PayPal payments, you can also choose to get a Google Play gift card. Plus, there’s a $10 sign up bonus available. AppKarma gives you money to your PayPal account, or gift cards when you download and try new apps. You can also get paid via gift cards for brands like Amazon, iTunes and Google Play. FeaturePoints gives you points when you try out new apps. You can redeem your points for money to your PayPal account. Gift cards are also a redemption option for places like Amazon and Starbucks. Earn points for playing games and trying new apps recommended by AppLike. You can redeem them for money to your PayPal account or for gift cards for brands like Amazon, Netflix, the Google Play store and Spotify. Fronto is an app that pays you when you display content on your phone’s lock screen. It’s such an easy way to make money from your phone without really doing anything. Slidejoy pays you to display ads and news content on your phone. Gift cards are also a payment option. ScreenPay will pay you to display personalized deals and promotions on your phone. AdMe pays you to display news, deals and coupons on your phone’s lock screen. Aside from PayPal payments, you can also get gift cards for places like Best Buy and Walmart. SurveyCow is an app that displays mini-surveys on your phone’s lock screen. When you complete these surveys you earn points that you can redeem for cash through your PayPal account. Paid Unlock pays you to display ads on your phone’s lock screen. Mr. Rebates gives you between 8% and 10% cashback when you shop at the stores it features. There are more than 2,500 stores and brands on the app, like Dell, Macy’s and Walmart. There’s a $10 reward available for signing up too. AppKarma is an app that pays you to try out new apps. In addition to PayPal payments, you can also get your money on a gift card to retailers like Amazon, iTunes and Google Play. Fitplay recommends game apps to you, and if you try out these apps, you’ll earn points. Points can be redeemed for cash to your PayPal account or for gift cards for stores like Amazon and the Google Play store. Complete easy tasks, such as participating in surveys, playing games or shopping online with EarnHoney. In return for completing tasks, you’ll earn points. You can redeem these points for money to your PayPal account, but also for gift cards to places like Amazon, eBay and Target. Complete tasks, like trying out apps, completing offers and taking surveys and Gift Hunter Club will pay you. Aside from PayPal payments, you can also get gift cards for Amazon, Xbox Live and iTunes. BeFrugal is a cashback app that features more than 5,000 stores, including well-known stores, like Best Buy, Target and Walmart. Aside from payments to your PayPal account, you can also get gift cards to places like Amazon. 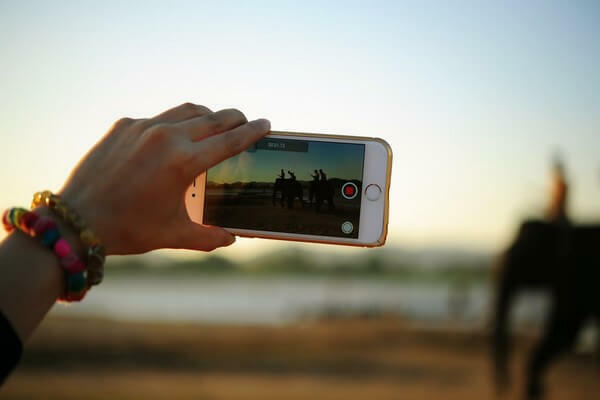 Watch2Earn is an app that gives you points when you watch videos. You can get your earnings to your PayPal account or on gift cards. Rewardable TV gives you points for watching trending videos, movie trailers and gifs. You can then redeem your points for cash through PayPal. CreationsRewards gives you points for browsing websites, watching videos and taking surveys. You can redeem your points for cash to your PayPal account. Also, gift cards for places like Amazon and Walmart are a redemption option. There’s a $3 sign up bonus available too. GrabPoints gives you points for doing things like downloading apps, completing offers, participating in surveys, and watching videos. You can redeem your points for money to your PayPal account. Also, you can redeem your points for gift cards to places like Amazon and Walmart. You can get $5 just to sign up. The paying gig apps below pay you to do a tasks both offline, like visiting local businesses to provide your feedback, and online, such as data processing. You can take on as many or as few tasks as you want to, making this a flexible way to make money. Download Clickworker for Android devices here. As you can see, there are plenty of apps out there that pay through PayPal. So if you’re looking for a quick and convenient way to get paid, give some of these money making apps a try. What’s great about these apps is that they give you easy ways to earn PayPal money instantly (in some cases). 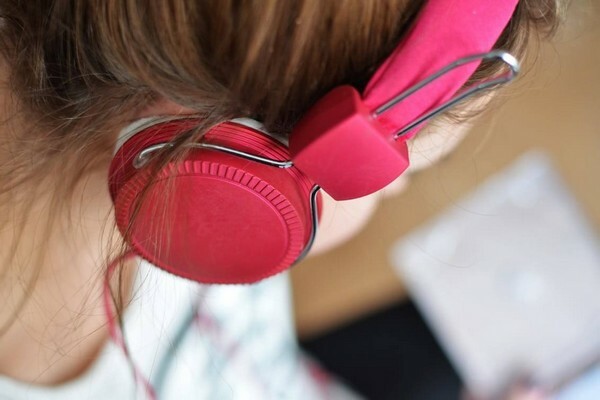 Playing games and taking surveys can be done anywhere, and these types of tasks don’t require you to block out huge chunks of time to complete them. Not to mention, with some of these apps, such as the lock screen apps, you literally don’t have to do anything to make money. These apps won’t make you rich, but they do give you an easy way to make a little extra spending money! 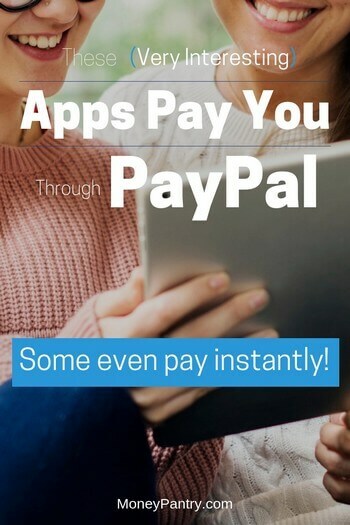 These truly are some of the best legitimate iPhone and Android apps that pay you through PayPal.